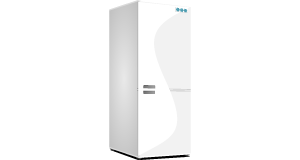 Hi, I have a Lec T5039B Fridge Freezer and the problem with it is in the Refridgerator compartment. It doesn't matter how much or often I clean the drain channel and drain hole, it just keeps on flooding with water in the bottom of the fridge. I read about a fault with a Candy fridge on here where the drain channel was too close to a component of the fridge and kept on freezing thus blocking the drainage pipe and causing flooding. Could this be the case with my Lec fridge freezer? I do remember that it has frozen all the way up into the drainage channel. All problems on this page have been submitted and answered by users. If you have a problem with the Lec T5039B, please submit it below and we'll post it here. Problem: Hi, I have a Lec T5039B Fridge Freezer and the problem with it is in the Refridgerator compartment. It doesn't matter how much or often I clean the drain channel and drain hole, it just keeps on flooding with water in the bottom of the fridge. I read about a fault with a Candy fridge on here where the drain channel was too close to a component of the fridge and kept on freezing thus blocking the drainage pipe and causing flooding. Could this be the case with my Lec fridge freezer? I do remember that it has frozen all the way up into the drainage channel.